Celtic Casino bonuses are plentiful, and you can start your experience with a €5 free no deposit gift by liking their Facebook page, to try your hand at a few of their games. After you have deposited your money, you can collect a 50% match bonus of up to €100. This is a welcome gift for new players, and meant to make your experience that much more fun. Another welcome option is a 25% match up to €1000 on your first deposit as well. You can also find their "refer a friend" program where you can earn 20% of the amount your friend initially deposits, up to €75. Along with these bonuses, Celtic Casino has daily deals, tournaments, coupons, vouchers, and free spins that can all be found, you just have to check frequently. There are no mobile gaming apps for iPhone, iPad, or Android devices, and so there are no mobile coupons or vouchers either. There is no information to be found on whether they are planning to develop mobile gaming, but it is worth it to keep an eye on it. Mobile apps are currently a hot trend for online casinos. 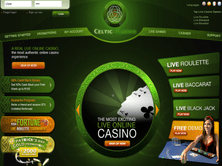 Celtic Casino is very similar to Fairway Casino, with many bonus options in common. While Celtic doesn't offer quite as many upfront bonus options as some players like to see, they come up with plenty of bonuses for holidays, tournaments, and special events. It has a great selection of games, much like that at Fairway, and you won't be disappointed for options when you play here. USA players are not accepted here, but it is a popular online casino for European countries. The countries with which it is most popular are the UK and France. They offer play in English, French, Greek, Italian, Russian, and Spanish, and customer support in these languages as well. Celtic Casino bonuses apply to most of their games, and they offer plenty of game options for you to enjoy, and many of the slots games can give you free spins. Some of the most popular include Gold Raider, Treasure Tomb, Isle of Fortune, and Zoo Zillionaire. Along with the regular online games that you would expect, such as slots, progressive jackpots, table games, and the like, they also offer live gaming options, where you can interact directly with a dealer in a live game. Many people find this option exciting and different. If you have never tried it, many game enthusiasts would encourage you to give it a whirl. 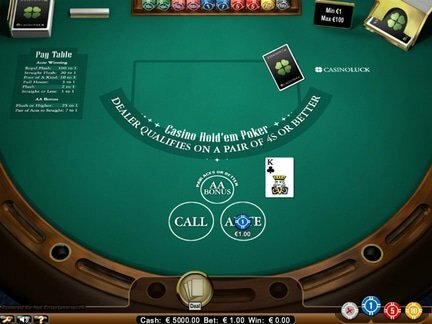 This casino offers many live tournament games for players, and keeps a board of winners for your perusal, the big amount to win in these is €2000, and then the next places are €500 and €100. Plenty of winners are listed here, and tournaments are going on all the time, so don't miss your chance to take part. There wasn't much information available on the running jackpots available before you are playing the games, but many are up over $100,000 and climbing. One of the biggest complaints that players have about Celtic Casino is that the video poker options are limited. This is probably due to the fact that they focus more on the live games going on, which is something you can't find at just any casino. There is also not a live chat option available, and sometimes customer support can be difficult to reach. Most reported complaints have to do with terms and conditions problems, which representatives will patiently explain and clear up. Almost all problems about non-payment or where the casino is at fault are reviewed and fixed quickly for customer satisfaction. Visionary iGaming owns Celtic Casino, and opened it in 2009. It is licensed in Costa Rica, which is a reputable gaming area where security and safety are closely monitored and guarded. They are affiliated with Live Casino Partners, to offer their live game options, and the rest of their games are offered in instant play. The software running these games is Blue Gem Gaming and Visionary iGaming. I found the non-live gaming options here to be a bit limited compared to other casinos, but there was still plenty here to keep me entertained. Sign up was very simple, and when I liked their Facebook page I received a $5 no deposit bonus to start me out. The welcome bonus was much appreciated, and I managed to find some free spins for the slots games too. I would have liked to know what the withdrawal limits were, but I didn't find them or happen to hit them while I was here. No mobile apps for iPhone, iPad, or Android devices were available, which was a bummer, so the only playing option was instant play. Overall, I had a good experience here with nice bonuses and simple game play, and give this casino a 3.5 rating.